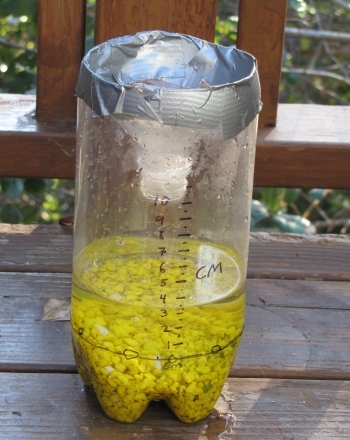 Slip some science into storm watching with a homemade rain gauge! 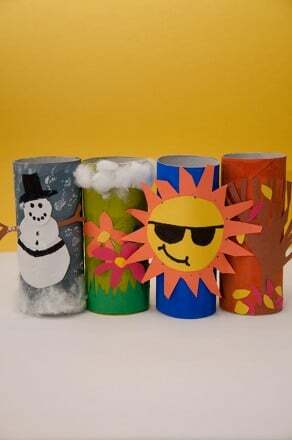 Using just a recycled soda bottle and some simple crafting materials, your child can make a nifty tool that will help him compare the amount of rain fall during each storm. Using a ruler, have your child measure a line 8 3/4 inches up from the bottom of the bottle. This is where the bottle just starts to curve inward. Let her use a permanent marker to mark the line. This step is all you, adults. Use the sharp knife to poke a hole along the marked line. Now that the bottle has been punctured, use the scissors to cut off the top. Set aside the top. About 1 3/4 up from the bottom of the bottle, there is line joining the middle piece of the bottle with the bottom. Have your child use the permanent marker to draw a black circle around this whole line. This will be the “0” line. Let her use the marker to label this line “0." Show your child how to use the ruler to mark lines up the side of the bottle at one centimeter intervals. Make sure she marks each centimeter and half-centimeter on the bottle -- all the way up to at least ten centimeters. If she makes a mistake, don't worry! 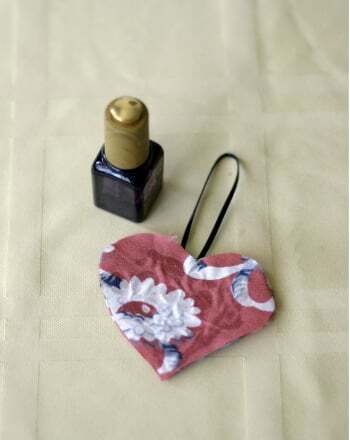 Just have her gently wipe the bottle with nail polish remover. Have your child fill the bottom of the bottle with gravel. The gravel should just reach the "0" line. Remember the top of the bottle you set aside back in step 4? Time to bring it back! Let her return it Upside downOn the bottle. Help her secure the top with multiple pieces of duct tape. Let her add water to the rain gauge up to the zero line. Place your rain gauge in an open area, not under a tree or overhang. Now all she has to do is wait for the next storm! Have her start a "rain journal" to keep track of how many centimeters of rain her gauge gets each day. Just remind her to always reset the gauge to zero after each measurement. All she needs to do is pour out the water until it hits the "0" line again. What's your favorite thing about the rain? This rain writing prompt gets your child to use his powers of description to write about what happens on rainy days. Use the clues to fill in the blank boxes in this rain-themed spring crossword puzzle. Call in your crafty kids to help make this homemade air freshener, perfect for stowing in the backseat to keep your ride smelling fresh and clean. 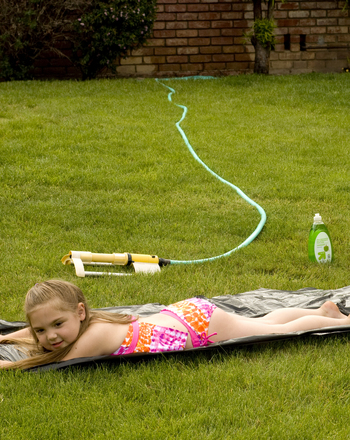 Cool the kids down with a homemade slip and slide! 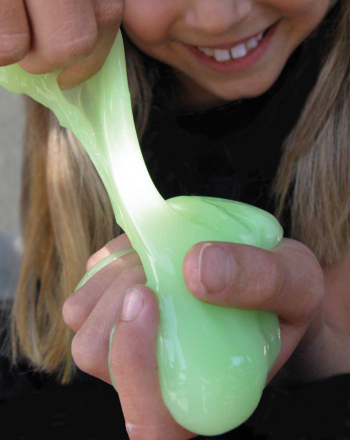 You can create your own water park atmosphere for just a few bucks. 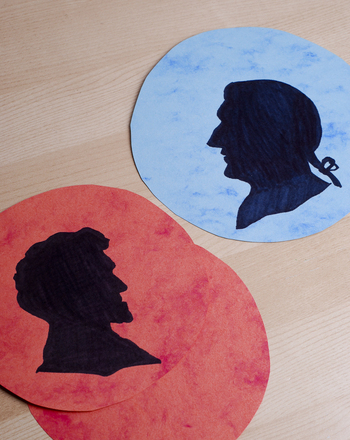 Your second grader can honor two renowned U.S. Presidents--Abraham Lincoln and George Washington--by crafting larger-than-life pennies and quarters! Use this worksheet to gauge your students’ familiarity with common year three spelling patterns. 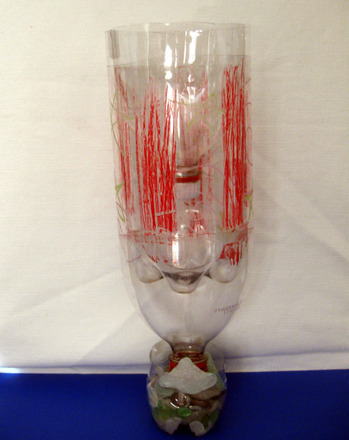 Looking for something to do with all those plastic 2-litre bottles that seem to accumulate endlessly? Turn them into a unique mini birdbath. Meet the altostratus cloud, a thin cloud that sometimes makes rain, in this earth sceince worksheet. Give your little one a fun project this Valentine's Day. She can colour and decorate valentines for all her friends!